Sweep ? 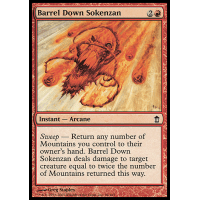 Return any number of Mountains you control to their owner's hand. 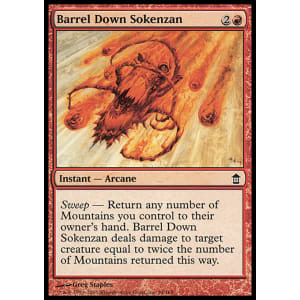 Barrel Down Sokenzan deals damage to target creature equal to twice the number of Mountains returned this way.